I was interested in exploring the filmstrips point of view as I kiss it whilst performing Screen Kiss. The focus shifts from the face, to the messy, visceral imprints of the lips - the means by which the film star's radiance is achieved. 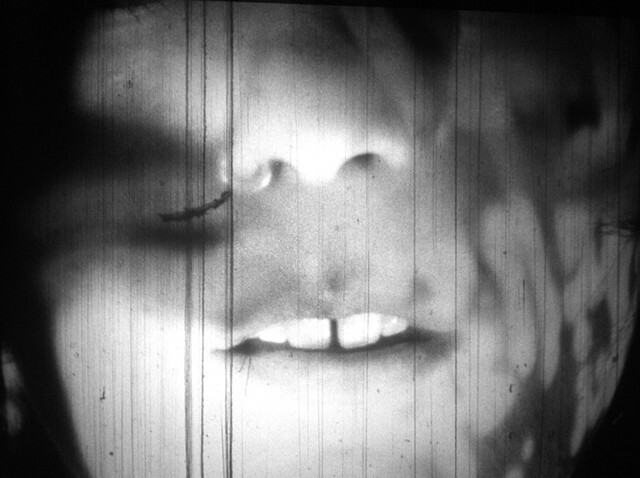 Hand-processing and photo-chemical manipulation (solarisation) break down the image of the screen kiss so that it cannot be easily contained within the frame.